Specialists from the International Labour Organisation (ILO) on November 8 shared experiences in wage and social insurance issues and gave recommendations to Vietnam’s draft plan for reforming wage, social insurance and benefits for national contributors. Deputy Prime Minister Vuong Dinh Hue, head of the steering committee for reforming wage, social insurance and benefit policies for national contributors, said the Vietnamese Government is drafting the reform plan, which is expected to be considered at the seventh session of the 12th Party Central Committee in May 2018. This is a difficult job since the scope of the plan is large, Hue said, adding that it covers the public sector and State-owned and private enterprises, relates to social insurance policies – one of the pillars of social welfares, and impacts almost all people of working age and retirees. ILO Vietnam Director Chang Hee Lee said the national policy on wage and social insurance is a key socio-economic policy that affects all citizens’ livelihoods and businesses’ competitiveness. Across the world these policies can be controversial, and it is hard for governments, trade unions and employers to reach consensus, he added. According to the ILO official, minimum wage functions limitedly in some spheres of a market economy. Collective bargaining between employers and employees is the key process to specify actual levels of pay and other working conditions. He said that collective bargaining has yet to develop in Vietnam. Meanwhile, the Vietnam-EU Free Trade Agreement requests the ratification of the ILO Convention No. 98 on the Right to Organise and Collective Bargaining Convention, which will promote wage bargaining. 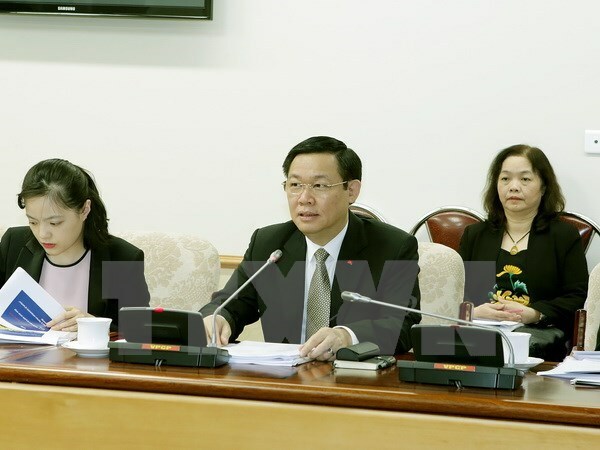 Lee suggested Vietnam improves wage statistics and enhance the capacity of the National Wage Council’s secretariat in monitoring minimum wage’s impacts and ties between wages and jobs. He also asked for a formula estimating adjustments to minimum wage or fixed parameters in that formula so that adjustments to minimum wage are predictable. Regarding ways to improve salaries in the public sector, the official said this is a complex problem as it relates to many different factors, including the size of the public sector which is huge in Vietnam, the pay gap between public and private sectors, and pay levels for different positions. He suggested a basic wage in the public sector be specified according to the rank employees hold while allowances should be concrete numbers instead of coefficients.